This month we welcome Carmen Oliver to our Austin SCBWI member interview series. 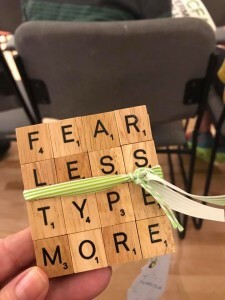 Carmen has plugged into our writing community in many ways, from Assistant Regional Advisor of our chapter, to representing authors and illustrators through The Booking Biz, to being a supportive and talented writer. Her everpresent smile and positive attitude have blessed many a creative soul, and we are so glad to learn more about her here. I grew up in Winnipeg, Canada and my backyard was definitely my playground. In the spring after heavy snowfalls, the thaw filled our ditches with water and I would raft down its channel and catch zillions of tadpoles. The trees provided the perfect cover for spy games and tree forts. The open fields with tall wavy grasses were ideal for hide and seek and watching woodland animals in their habitat. Growing up there was a band of us kids roaming and exploring the neighborhood streets using our imaginations and the outdoors to have fun and stay out of trouble. This landscape helped to shape my imagination and to always invite curiosity into everything I do. Those early friendships taught me how to get along, watch out for one another and always have each other’s back. When my brother and I were about 10 and 12 we went caroling at Christmas to raise money for the Muscular Dystrophy Association. We’d recently watched a telethon in the fall and we wanted to help make a difference. Big family reunions in the summer: lots of fellowship, games, and love. 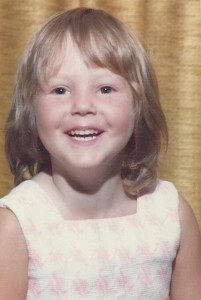 All of my experiences as a child have helped lay the foundation to the themes I write about today. I’ve always wanted to be a writer. 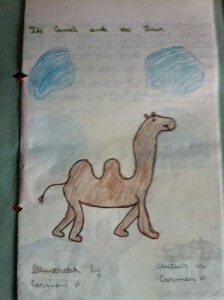 In elementary I wrote illustrated storybooks. In high school I wrote poems about friendship and first loves and broken hearts. I wrote for the school newspaper but it took me a really long time to get that first article published. There were a lot of failed attempts before they finally accepted my article on the Make a Wish Foundation. I dabbled as a news broadcaster on the television station telling other people’s stories but when I went to college I wasn’t quite confident enough to follow my dream as a writer. I knew I wanted to make a difference and I wasn’t sure which path was the right one to follow. So I did several different things. I joined the RCMP as a cadet. I studied insurance and got my broker’s license and I went back to school to pursue computer programming and became a programmer analyst. It wasn’t until I moved from Canada to Texas in 2003 that I allowed myself to return to my roots and what I was really passionate about. My daughter was always there to remind me, “When are you going to write that children’s book, mommy?” She wasn’t willing to let me off the hook. And so I jumped and years later, I’m now published. It depends on the day. There are some days when I’m so busy that they would see me tied to my desk wearing PJs all day long. Sometimes, I forget to eat but I keep a box of protein shakes under my desk. Other days, I’m out walking early in the morning or running to the gym to stretch more than my mind. I love to read every night before I fall asleep. And if I wake up in the middle of the night with an idea, I’ve got a notepad to jot down my thoughts. Also when I can’t fall back to sleep, I return to my book and get lost in the story. I’m not an everyday writer but when I’m working on a revision or a new story idea I work until I can’t go any further. Then I put the work away to rest and come back to it a week later with fresh eyes. Life changes on a dime and I’ve learned to roll with it. I try not to worry about the things I can’t control and I concentrate on the things I can. Everything I read, watch, experience constantly is informing and feeding my imagination and my work. With traveling more this last year, the new places are seeping into my subconscious to serve a story in the future. The partnership with my husband is the cornerstone of my life. His trust and love and belief in me have allowed me to soar and yet keep me grounded. My children are my greatest accomplishments as I watch them grow into these amazing human beings with sensitivity and grace and kindness. Each one of them has something unique and brilliant to share with the world and I love being a part of nurturing them to follow their dreams. I’m proud of the writing that has made it into the hands of children whether it’s an article I’ve written or a book I’ve published. I love that I have the opportunity to work with so many talented authors and illustrators and be a small part of helping them to connect and inspire their audiences. I’m proud to see the sun set at night and rise in the morning because life is full of challenges and it’s a rollercoaster of ups and downs and our family is still here and thriving. The writing. Some days it flows and other days each word you put on the page is a chore. But I love the spontaneity of the entire creative life. You never know what you’re going to get except the promise if you show up at the page, do the work, love the work—it will eventually love you back. I hope my readers will connect with me through my stories and that I will remind them a little of themselves and what they care about. That we share similar passions and that reading is a lifelong journey and one of the best rides in life. Oh the places we'll go! Author Bio: Carmen Oliver is the founder of the Booking Biz, a boutique style agency that brings award-winning children’s authors and illustrators to schools, libraries, and special events. 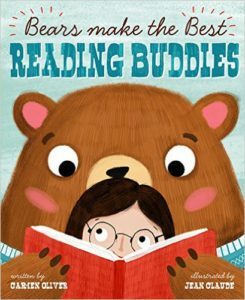 She is also the author of picture book Bears Make the Best Reading Buddies as well as the forthcoming nonfiction picture books The Favio Chavez Story and A Voice for the Spirit Bears. 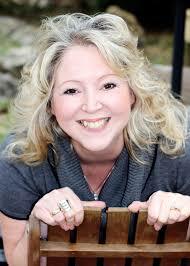 She teaches at the Writing Barn and Highlight Foundation and speaks at schools, conferences and festivals. Growing up in Canada, she saw many bear species along the hiking trails but always kept a respectful distance. She and her family now call the wide-open spaces of Texas home.